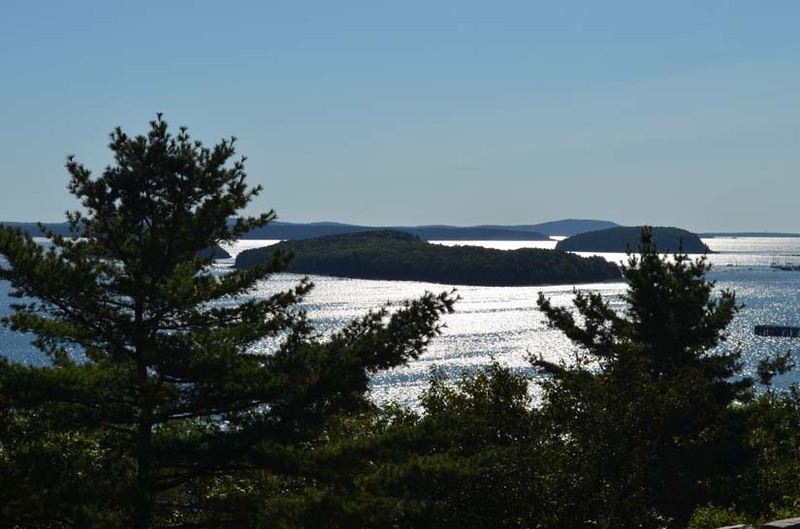 Note: If you wish to see a slide show of pictures we took in Bar Harbor Maine, click here. 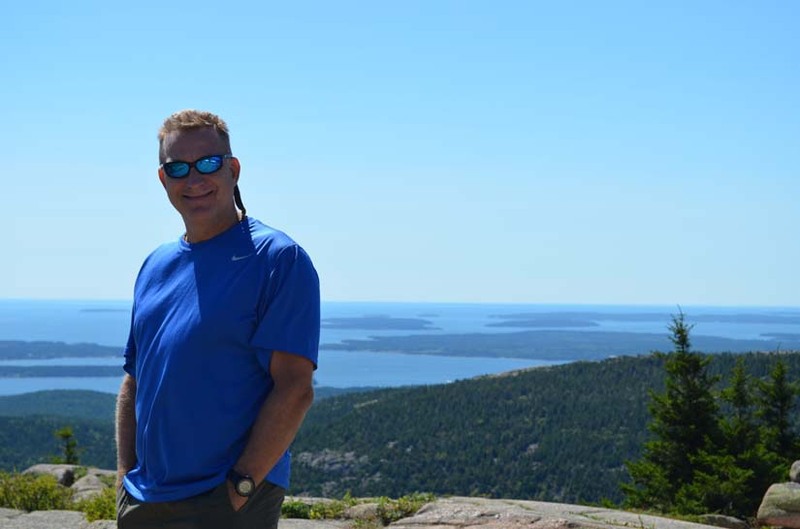 After meeting another early retiree couple (Bob and Robin Charlton) online a year or so ago, it just happened that we were going to be in Bar Harbor Maine at the same time. We took that opportunity to meet up with them, have some wine, compare notes about how we retired, how we plan to spend our time, and of course, talk about our common love of travel. 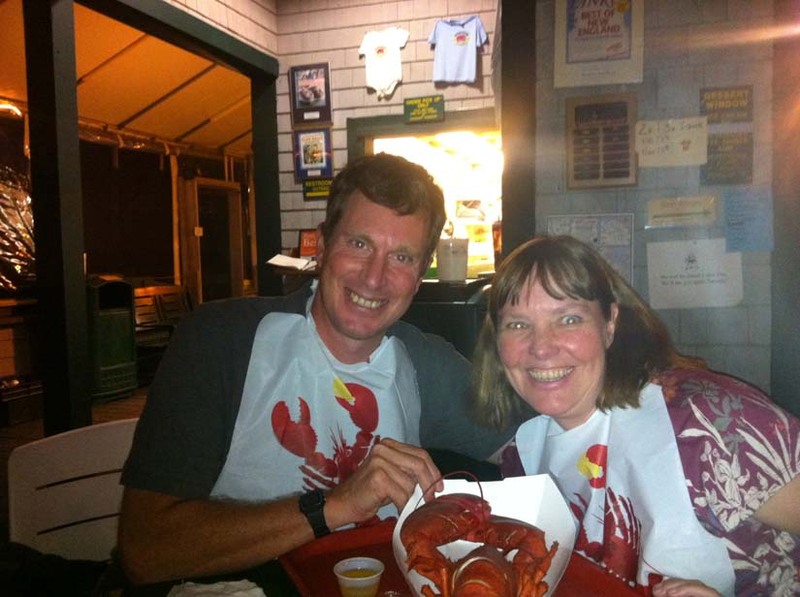 They also took us to a restaurant that offered fresh lobster for about $10 per pound. We quickly hit it off and found we had so much in common. We really admire them — they retired at 43 years old the old fashion way — by saving every penny to make it happen.To learn more about their story — see their website at http://www.wherewebe.com. 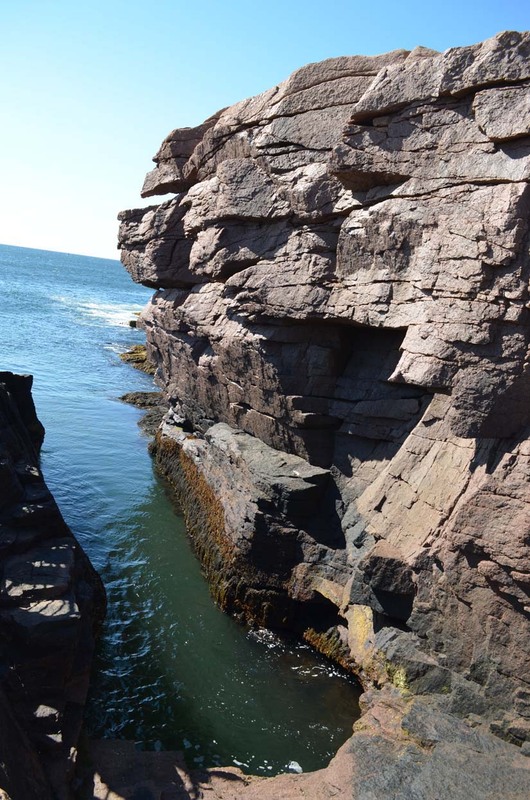 Bar Harbor is a really beautiful place, if you get the chance to see it, you should do it. 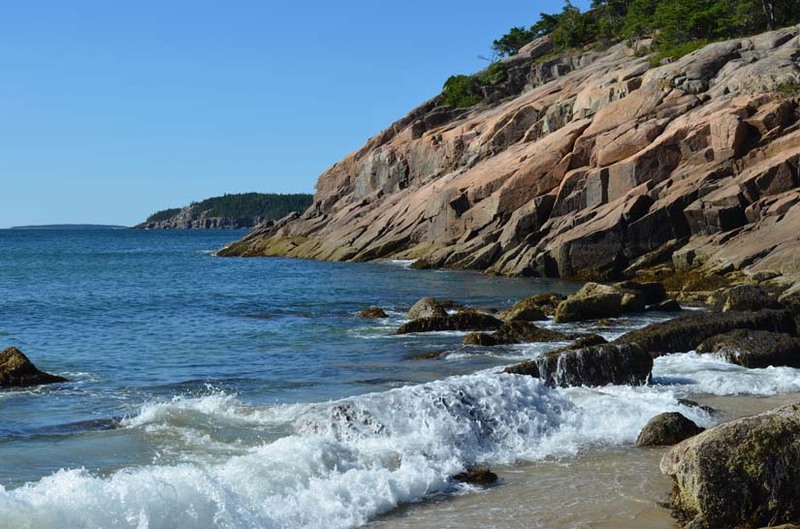 Bar Harbor itself is just the beginning of the beauty — it is flanked by Acadia National Park, which is just breath-taking. 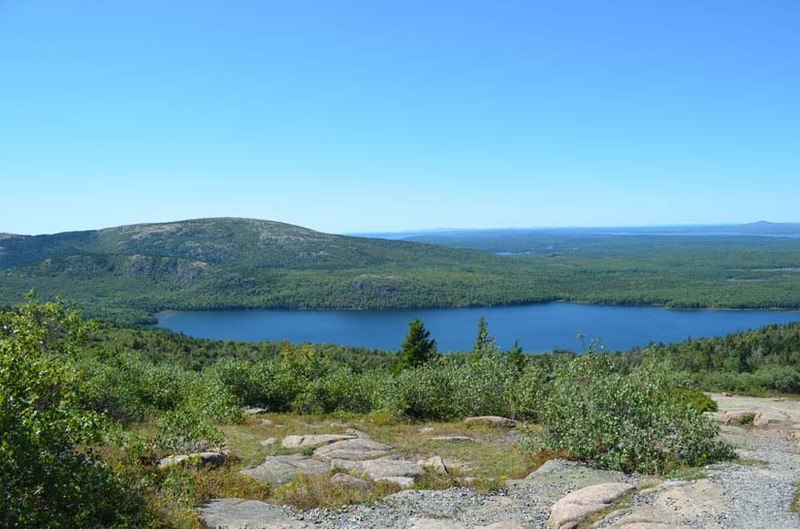 We first visited Bar Harbor, then we entered the Acadia National Park, following the Park Loop Road around the park. 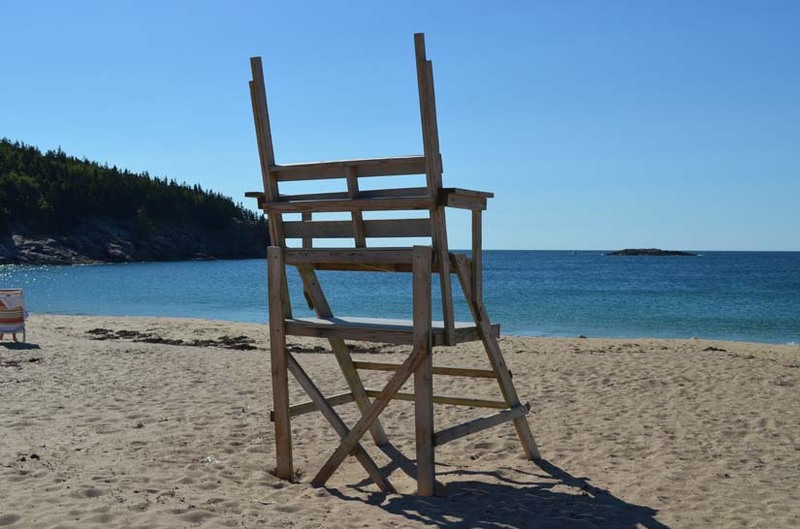 Our first stop was at Sand Beach, it is a light brown sand beach nestled in a small cove. No lifeguard to be found! After Sand Beach, we made our way to Thunder Hole. This is a huge rock where the Maine seas thrash themselves against to make incredible splashes and sounds of thunder. When we visited it was pretty tame, with small incoming waves, but we have heard that it can get pretty rough and loud. While there, we met another retired couple that were visiting from Vermont, they told us to be sure to visit Prince Edwards Island because it is beautiful — we will take them up on that suggestion! 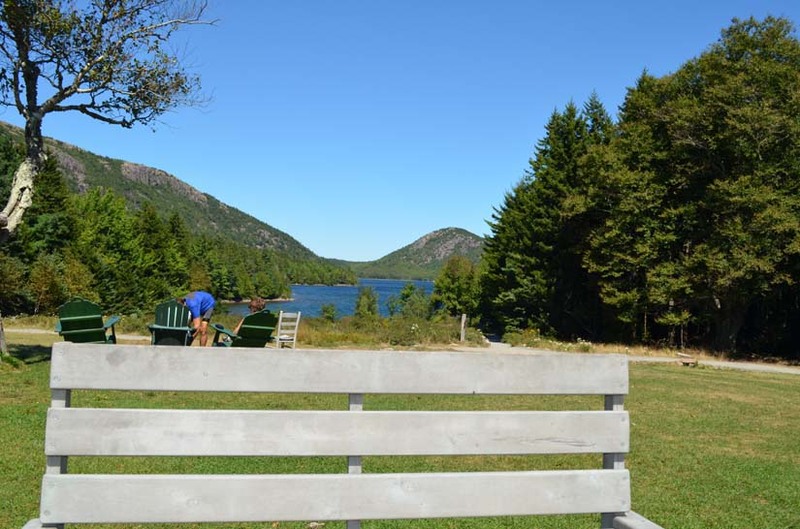 We finished this incredible day at the Jordan Pond House, a cool eatery at the end of the park loop road. We had Lobster stew and pop overs. If you’ve never had pop overs, they are a light, hollow roll made from an egg batter similar to that of Yorkshire pudding, typically baked in muffin tins. We had ours with strawberry jam. From our table, we had an outstanding view of the bay. We are now traveling through New Brunswick, Prince Edwards Island and Nova Scotia. We will be blogging about those adventures in the coming days. 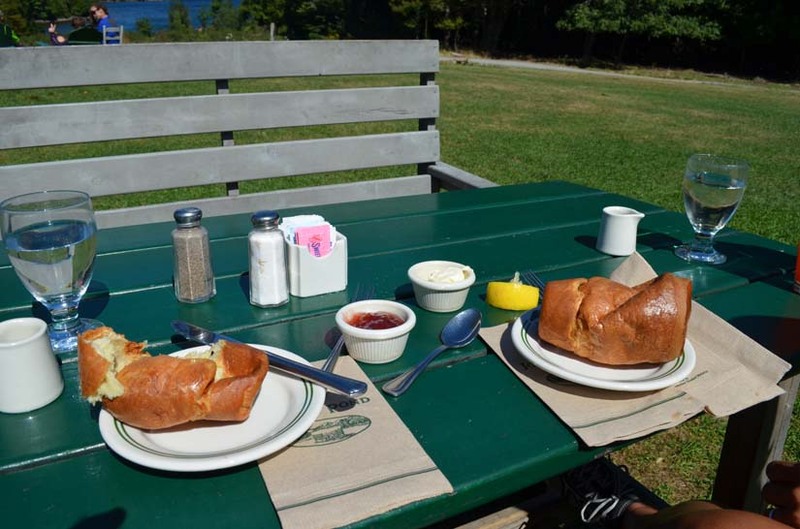 Note: If you wish to see a slide show of pictures we took in Bar Harbor Maine, click here. This entry was posted in Early Retirement, Maine, Our Travels, Travels to USA on September 3, 2012 by smiller257.